The meeting will take place at the bank’s headquarters, located in New York, and will be attended by well-known personalities like Marco Santori, Juan Llanos and Rik Willard. These representatives of the Bitcoin universe will speak during a session titled “Digital Currencies in Microfinance: Their impact on remittances and financial inclusion”, promoted by the MicroFinance Club of New York. While Marco Santori is a well-known lawyer and member of the Bitcoin Foundation, Juan Llanos is an experienced enterprise risk expert and Bitcoin supporter. Rik Willard is responsible for the MintCombine business incubator in New York. 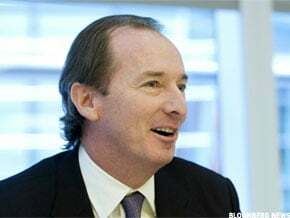 All Morgan Stanley employees are invited to the event, according to the site MarketWatch, despite the fact that the bank’s CEO, James Gorman, recently said that virtual currency is “totally surreal”. Morgan Stanley remains as the only major bank that has not published a report about Bitcoin and all the controversy around the digital coin.